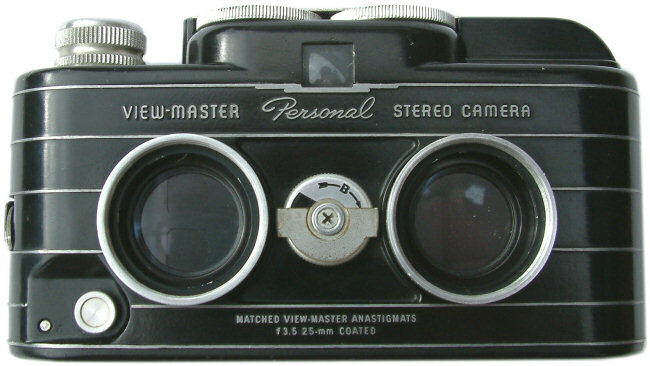 This well engineered stereo camera was manufactured in the 1950's for Sawyers by Stereocraft Engineering Co., to enable anyone to be able to create their own View-Master reels, known as Personal Reels. The film was loaded into the camera and each exposure would produce two images. The film was then developed, but not cut in the way that conventional film would be. The individual halves of each stereo pair had to be cut precisely using a special film cutter. These cut-outs, known as 'chips' would them be inserted into pockets in the special Personal Reels' using a film insertion tool. 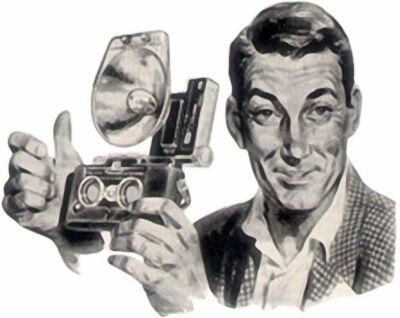 The camera has a unique feature that allows double the amount of pictures to be taken on each film. 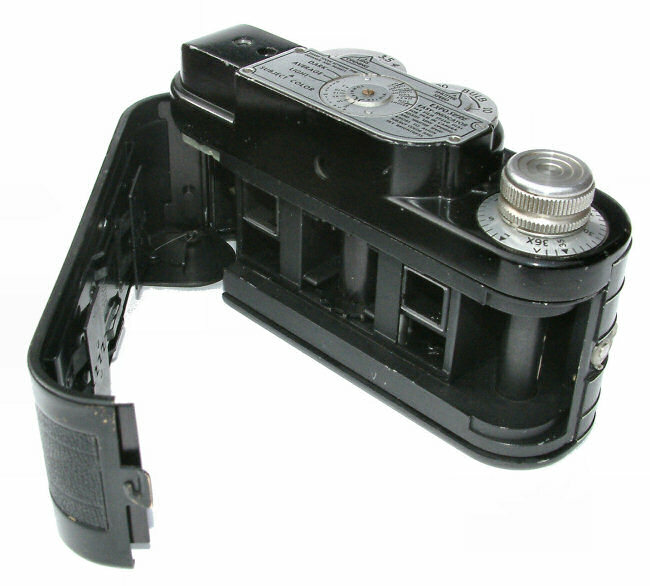 Once the film has be fully exposed one way the A/B knob on the front of the camera is rotated. The lenses are then internally repositioned from the lower half of the film to the upper half. The film is them wound backwards on each exposure to the point where it has been fully exposed in both directions and can be removed from the camera for processing. Looking through the viewfinder reveals a tiny liquid filled glass tube containing an air bubble. This bubble must be in the centre to ensure the camera is absolutely level before an exposure is made. 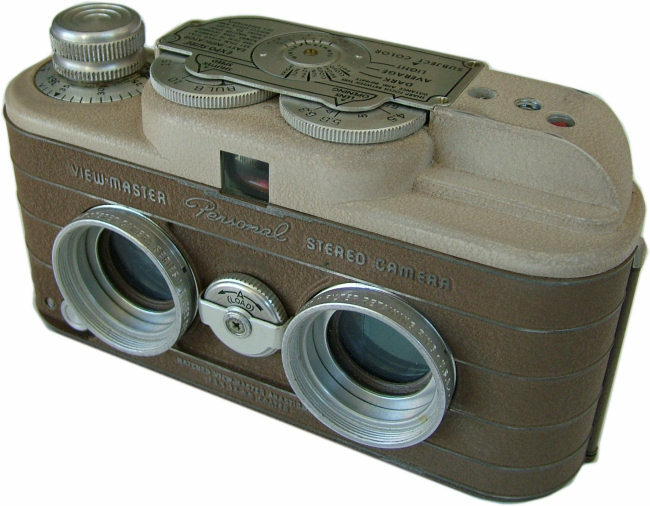 These cameras were available in black and tan versions. 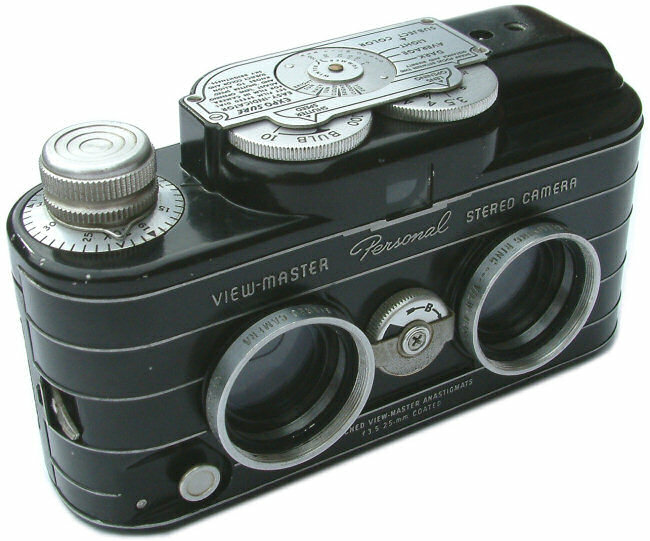 Very early cameras has silver tops. Accessories that could be purchased included a set of close-up lenses and a flash unit.